Yoga appears to help people with mild to moderate major depressive order, a small study found. San Francisco researchers reported that in a small pilot study, they concluded that twice-a-week, 90-minute hatha yoga sessions for 8 weeks resulted in clinically significant reductions in the severity of depressive symptoms. Measured by the Beck Depression Inventory, 60% of the study sample that completed the 8 weeks of yoga versus 10% of the control group achieved remission from symptoms. 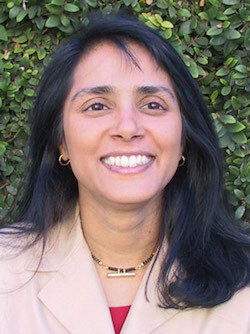 “With the rising popularity of yoga in Western countries, yoga-based interventions with proven efficacy in major depression may provide a treatment option that is cost-effective, widely accessible, associated with high social acceptance, and has a favorable risk-benefit profile,” Sudha Prathikanti, MD, (photo) a clinical professor of psychiatry at the University of California San Francisco School (UCSF) of Medicine, and her co-authors wrote. “The goal in developing novel interventions, such as yoga, is not to replace existing conventional care that may be high effective for some individuals, but to expand therapeutic options so that more people may benefit from treatment,” they added. The study authors noted the need for such alternatives based on estimates that 7% of the US population experiences a major depressive episode and that only half of these people receive conventional care to treat this condition, and only one-fifth of those complete it. Major depression is the second most disabling condition in the United States and accounts for 20% to 35% of the annual 49,000 suicide deaths. The condition also increases the mortality risk connected with medical conditions including coronary artery disease and diabetes, the authors added. How yoga works as an anti-depressant may involve several mechanisms, the team suggested. Biologically, the down regulation of the hypothalamic-pituitary-adrenal axis and sympathetic nervous system, the increase in vagal tone with activation the parasympathetic nervous system, increase in central nervous neurotransmitters such as serotonin and GABA, increase in BDNF, and other mechanisms may be involved, the authors said. Psychologically, yoga may provide experiences in mastery and self-acceptance, and possible lead to an increase in feelings of self-acceptance and self-esteem. Negative ruminations may decrease, and behavioral activation may be facilitated. The study’s population excluded people currently receiving all types of treatment for depression and those currently engaging in a yoga or other mind-body practices. Of the 38 who participated (20 yoga and 18 control), overall 66% completed the 8-week trial (75% yoga and 56% control). Two-thirds of the sample population drawn from the San Francisco area were women. The participants’ ages ranged from 22 to 72, 58% were of European descent, 53% were employed or retired, 63% had a college degree or higher, 64% had some previous yoga experience but no regular practice, 79% were moderately depressed, and the majority had previous episodes of major depression. The protocol for hatha yoga used in the 8-week trial was developed in consultation with yoga centers in India. The postures and procedures were adapted from Swami Vivekanada Yoga Research Foundation publication that documented a set of yoga practices designed to alleviate depressive symptoms, the study explained. Some of these procedures were then pilot tested in San Francisco. In addition, interviews with US yoga instructors were used to come up with the final protocol which included classical yoga breathing techniques, mindful body postures, and a final deep relaxation pose. The control intervention was participating in a psycho-educational group on yoga’s origin’s history, philosophy, major schools, and teachers along with the opportunity to study hatha yoga at the end of the trial. The study explained that this randomized clinical trial (RCT) was different from previous RCTs which have used selective populations samples such as perinatal women, variable levels of symptoms from none to either major depression or dysthymia, or included other interventions along with the yoga. Nonetheless, the authors acknowledged study limitations, including its small sample size and said there might have been a positive impact on results since the measurement of depressive symptoms was taken right after the yoga sessions. “Treating major depression with yoga: A prospective, randomized, controlled pilot trial” was published March 16 in PLOS ONE.